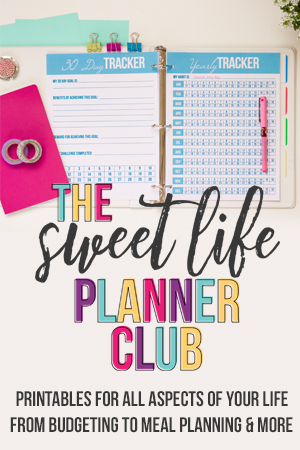 Do you have stacks of partly used planners lying around that you tried and abandoned? Have you tried to set up organizing systems in your home only to have them fall apart a few weeks or months later? 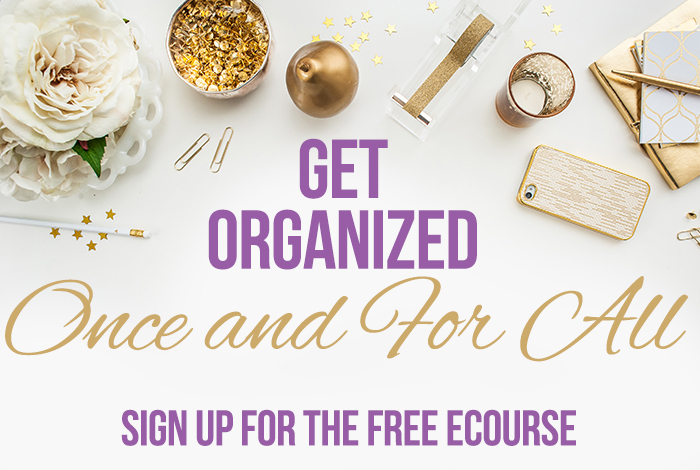 Do you wish you could finally get organized once and for all? Then you have definitely come to the right place! 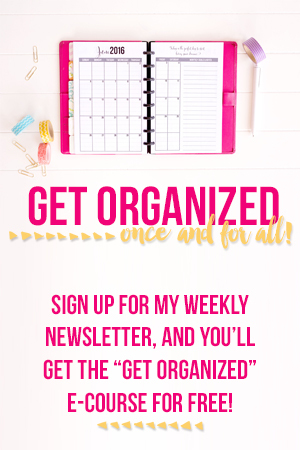 I’m offering my new “Get Organized Once and For All” ecourse to my newsletter subscribers completely free! All you need to do is put your e-mail address and name in the box below, and you’ll receive your first lesson tomorrow. Trust me, I know the last thing you need is another lengthy, complicated course on your plate, so in this course we’re going to keep it all quick and simple! You will receive one lesson each day, and the things you learn can be implemented in just a few minutes a day. I promise it will be one of the simplest but most highly impactful courses you’ve taken, but I don’t promise it will be easy. Most things worth having are worth working for, so I encourage you to really set aside a few minutes each week and really commit to fully participating in each of the lessons. 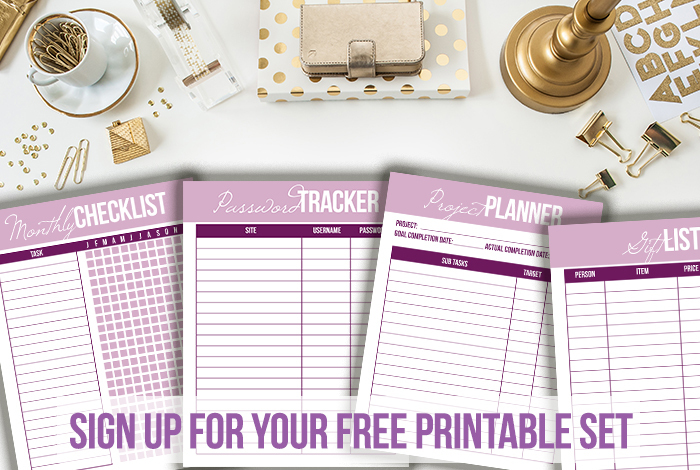 For all of you who love printables as much as I do, you’ll also get a free sample set of printables right away when you subscribe. 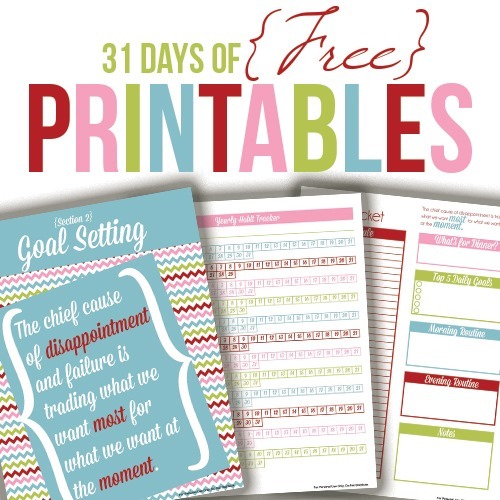 I’ve included a variety of printables from various sets for you to try. I hope you enjoy them, and as always let me know how I can help you stay more organized.